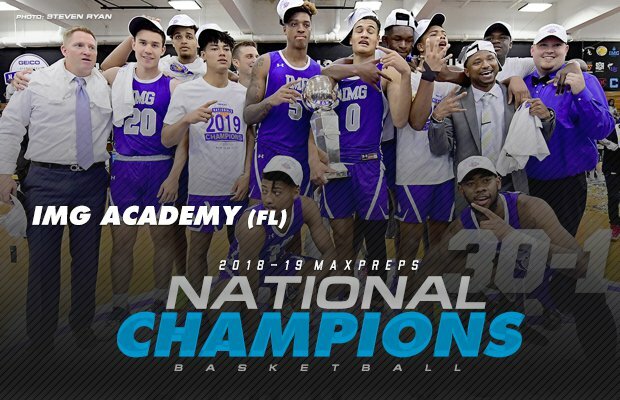 For the first time, IMG Academy is home to high school basketball's national champions. 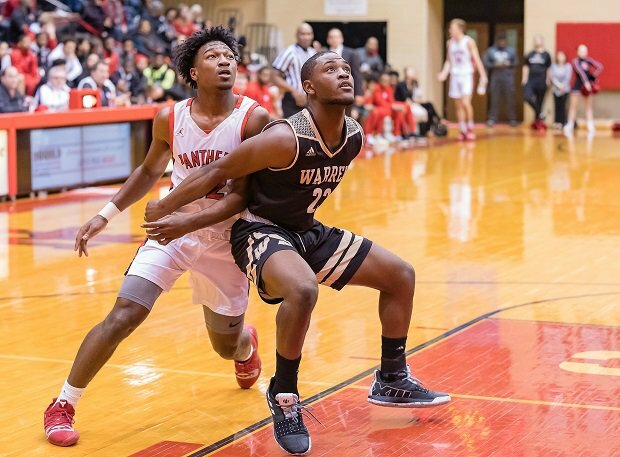 The Ascenders featured one of the most talented starting lineups of the past decade — boasting a record three McDonald's All-Americans and two high-major guards. See where teams finished after IMG Academy's GEICO Nationals win. Villanova signee Jeremiah Robinson-Earl made the biggest offensive impact in the GEICO Nationals title game, finishing with 18 points, seven rebounds and six assists. 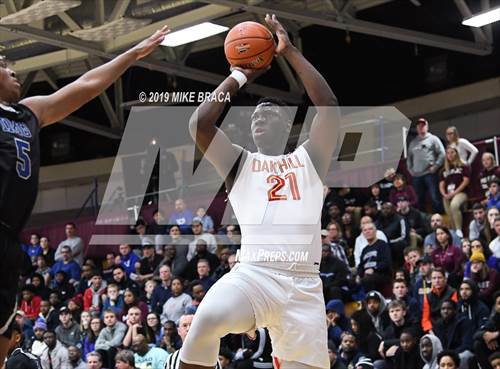 Frontcourt running mate, North Carolina signee Armando Bacot Jr., made his impact on the defensive end, anchoring the paint and holding highly touted Isaiah Stewart to 14 points and seven rebounds in the championship game. 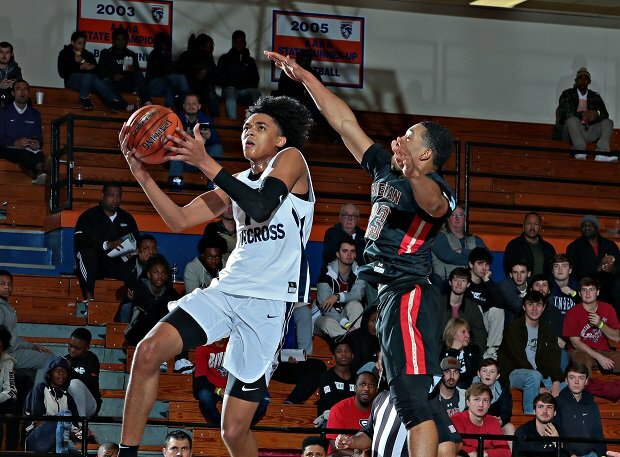 In the backcourt, 5-star junior Jaden Springer averaged 21.3 points, 4.7 assists and three rebounds in the three-game run. 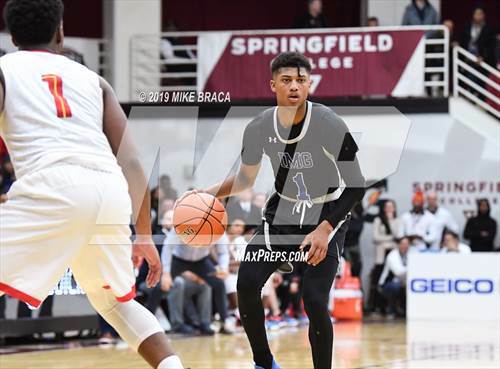 Arizona signee Josh Green chipped in a game-high 19 points in the title game, and 4-star Noah Farrakhan played the role of glue guy, running point guard and providing a scrappy edge to the defensive side of the ball. After notching the program's first GEICO win with an impressive 65-50 victory over Sunrise Christian Academy (Bel Aire, Kan.), the Ascenders pulled off a comeback for the ages. 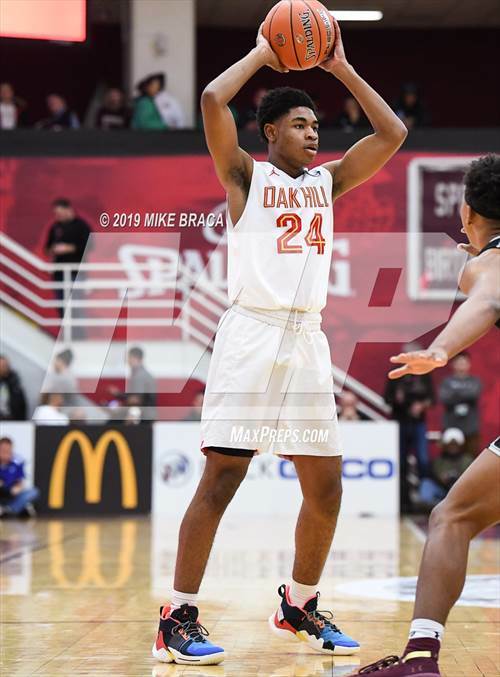 Trailing by 16 to defending event champion Montverde Academy (Montverde, Fla.) heading into the final period of play, IMG stormed back with a 17-1 run to open the fourth before pulling out the 74-73 win on a fast-break dunk hammered home by Robinson-Earl over an Eagles defender. 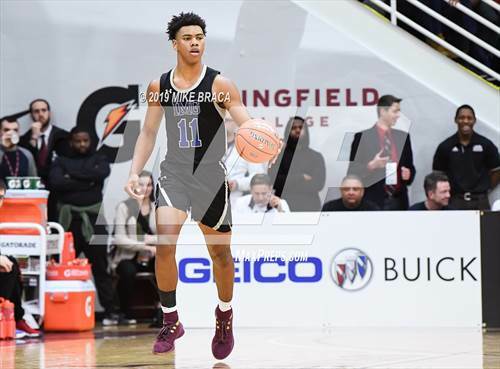 IMG Academy left no doubt in the GEICO Nationals championship game, jumping out to an early 5-0 lead for an impressive 66-55 wire-to-wire victory over previously unbeaten La Lumiere (LaPorte, Ind.). The victory replaced previous No. 1 McEachern (Powder Springs, Ga.) (which dropped out of the event) for the top spot in the final rankings. IMG Academy boasts a 6-1 record against Top 25 opponents this season, with signatures victories over DeMatha (Hyattsville, Md. ), Oak Hill Academy (Mouth of Wilson, Va.) and University (Fort Lauderdale, Fla.), along with the GEICO Nationals run. The Ascenders' lone loss came in December to Mountain Brook (Birmingham, Ala.) at the City of Palms Classic. GHSA Class AAAAAAA state champions. AHSAA Class 7A state champions. CIF Open Division state champions. NJSIAA Tournament of Champions winner. OHSAA Division I state champions. WIAA-WI Division 2 state champions. WCAC regular season, Maryland Private School, Alhambra Catholic Invitational champions. NCHSAA Class 4A state champions. FHSAA Class 5A state champions, GEICO Nationals participant. IHSAA Class 4A state champions. New York state federation Class AA Tournament of Champions winner. AIA Class 4A state champions. IHSA Class 4A state champions. PIAA Class 4A state champions. UIL Class 6A state champions. 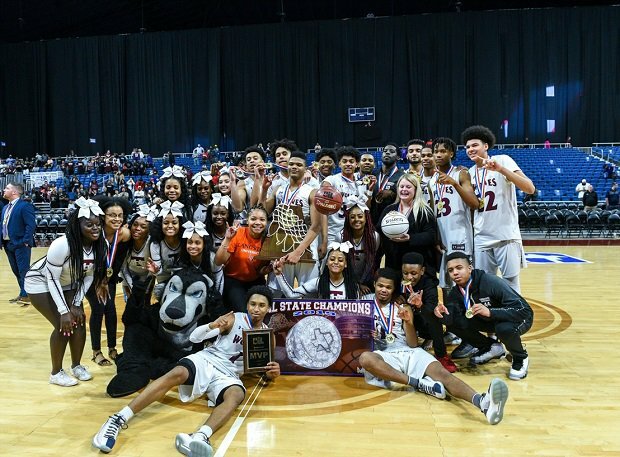 UIL Class 5A state champions. AIA Class 6A state champions. LHSAA Division I state champions. PIAA Class 6A state champions. MHSAA Class 6A state champions. CIF Open Division state quarterfinalist. IHSA Class 4A state semifinalist. UIL Class 6A state quarterfinalist. IHSA Class 3A state champions. MSHSAA Class 3A state champions. CIF Open Division state semifinalist. MHSAA Class 5A state champions. CIF Open Division first round. WIAA Class 4A state semifinalist. TSSAA Division I Class AAA state champions. NCISAA Class 3A state champions. MSHSL Class AAAA state champions. UIL Class 6A state finalist. PIAA Class 6A state quarterfinalist. GHSA Class AAAAAAA state finalist. Baltimore Catholic League tournament, regular season champions. GHSA Class AAAAAAA state semifinalist. NJSIAA Tournament of Champions finalist. OSSAA Class 6A state champions. PIAA Class 6A second round. TSSAA Division I Class AAA state finalist. NJSIAA Non Public, North B finalist. GHSA Class AAAAA state champions. KHSAA Sweet 16 state champions. KHSAA Sweet 16 state finalist. MHSAA Class 5A state finalist. AHSAA Class 5A state champions. IHSA Class 4A regional semifinalist. UIL Class 5A regional semifinalist. SCHSL Class AAAAA state champions. MHSAA Division 2 state champions. NCHSAA Class 4A state semifinalist. UIL Class 6A regional semifinalist. IHSAA Class 4A sectional finalist. CIF Open Division state finalist. UHSAA Class 6A state champions. NCISAA Class 4A state champions. New York state federation Class AA Tournament of Champions semifinalist. IHSA Class 3A state finalist. MSHSL Class AA state champions. SCHSL Class AAA state champions. PIAA Class 4A state finalist. OSSAA Class 5A state champions. CHSAA Class 4A state champions. MHSAA Division 2 regional finalist. IHSA Class 3A sectional finalist. MHSAA Division 2 state finalist. IHSA Class 4A state finalist. NCHSAA Class 4A state finalist. UIL Class 6A regional quarterfinalist. KSHSAA Class 1A state champions. MHSAA Division 1 state champions. IHSA Class 3A state quarterfinalist.